"Thanks for everything so far! Sites look good, and seem to function really well." 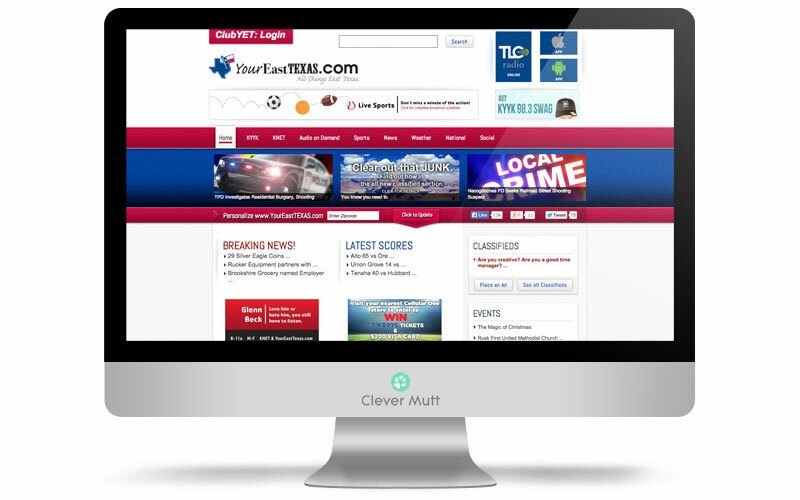 "I'm extremely pleased with Clever Mutt™'s problem-solving team as well as their customer service! " Tomlinson-Leis Communications, LP. 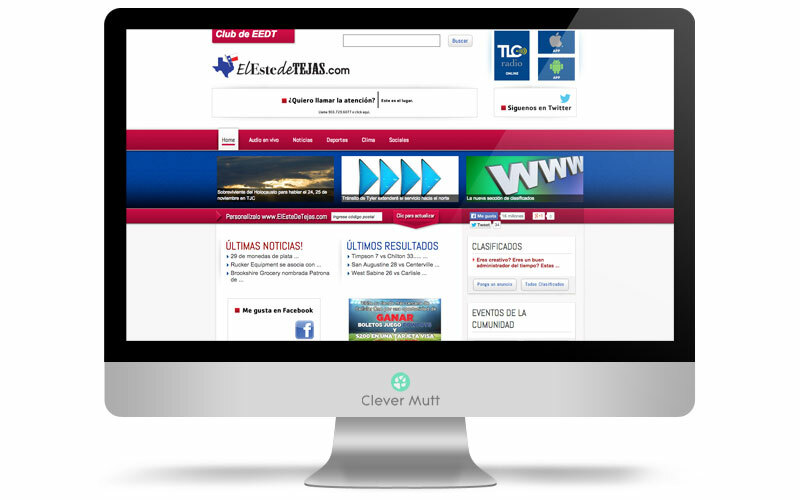 hired Clever Mutt™ to provide large scale website design and CMS services for multiple websites including English and Spanish languages. 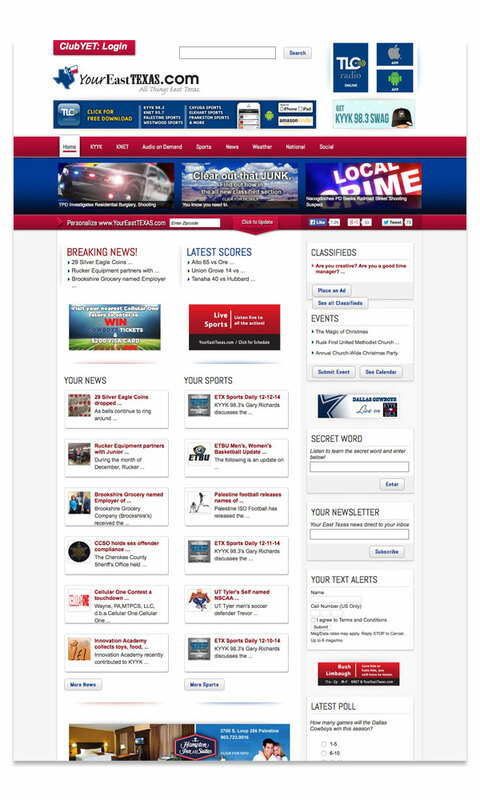 A wide range of features developed include integration with radio streaming, classifieds service, breaking news streams with zip filtering, sports score alerts, school closure alerts, events management, competitions, email marketing & newsletter services, SMS alerting integration, polls and much more across each site.